One minute you’re thinking how delightful it’s going to be to watch bub one and bub two play hide and seek, build dens, and grow up in blissful harmony together. And the next minute you’re thinking, how will I do the food shop with two kids under two, can we fit a pram and a scooter in the car boot at the same time, will I ever sleep after 6am again? Preparing for baby number two can be an exciting, but also an incredibly stressful time – but stress will do neither you, nor your babies any good. To help remedy your worries, we’ve put together a list of potential stess-pits you might be facing, along with their solutions! If you’re early on in your pregnancy, you probably havent yet explained to baby number one that they’re soon going to be joined by baby number two, and rightly so because telling your toddler too soon will only confuse them; 6 or so months away to a toddler is practically a lifetime. Try and wait until you’re really showing and it’s become noticable to your child that something is changing with your body, explain that there is a new baby growing inside you and that soon they will meet this little person and be a big brother or sister! Try and make the prospect of being an older sibling exciting, get them involved by helping pick out babygrows, painting the new nursery, or even attending an ultrasound to hear the heartbeat. Getting baby number one as involved as possible will mean an easier transition when your new little one arrives, because their world is about to change big time! This is probably something you’re worrying about most at the moment, because its the first step in your new life as a mum of two! The first thing you need to get sorted is who is going to watch baby number one, while baby number two makes his or her entrance to the world. Most people opt for the grandparents, this is usually a good choice if granny and grandad are retired and therefore pretty flexible to help you out. You’ll need to explain to your little one that when their new brother or sister is born, they will be going to stay with someone else for a short while – you can make this exciting by calling it a sleepover or a baby birthday party. Once you’ve got your own birth bag sorted, you will of course need to have one handy for your child as well. Dont just pack enough for one day though – even though we hate to think of it, sometimes birth doesnt always go to plan and you and your partner may have to be in the hospital longer than expected. If this does happen, your stress will be eased ever so slighty in the knowledge that baby number one is all sorted! Once your baby has been born, you’re probably worrying about how you will evenly split your time between both children so that neither one feels left out, or as if mum is too busy for them. This is usually a problem just for baby number one as they come to the realisation that they aren’t your sole focus anymore. As you did before with preparing your child for the newborn, you can combat this issue by getting them as involved as possible with helping you take care of their younger sibling. When your newborn is a little older and doesnt need mum with them 24/7, schedule a time each week that is just for you and baby number one – it doesnt have to be all day long, but a little outing where all of your attention is on them will do a world of good! Just as you are worried about having time for two babies, you are probably thinking about when you will have time for yourself too! Combat this by setting aside some designated “me-time”, picking a time once both bubs are in bed is probably best, and get your partner on board so that he or she knows that this time is going to be for you and that they will have to cope alone for a few hours. Booking yourself in for a relaxing massage, or even just curling up with a good book and a cup of tea will give you that well-needed break from your busy new world; doing this regularly will make you an even better mum because you’re taking care of yourself too! You had probably only just adjusted to living on limited sleep after baby number one, and now you’re facing the prospect of starting those sleepless nights all over again. First of all, you need to come to terms with the fact that sleep is not going to be something you can indulge in for a while; sad but true, and we’re sorry to be so blunt! Make life easier for your soon-to-be-zombie-self by preparing as much as you can. Before baby arrives, cook up a heap of dinners for your toddler, portion them out and then freeze them all – when you’ve had a long day looking after two litle ones and only 4 hours sleep in as many days, the last thing you’ll want to do is stand in the kitchen and cook. If you’ve got the means to do so, hire a cleaner for the first few weeks after little bub is born; this will take a whole load of your plate and the time you would have spent cleaning you can catch a sneaky nap! Most importantly, dont be afraid to ask for help or accept help when it is offered – you might not think you need it but chances are an extra pair of hands wouldnt go amiss! Maybe baby number two was planned and maybe he/she was an exciting surprise, either way you’re facing an influx in expenses that are hard for any parent. Before the new one arrives, have a proper sit down with your partner and really go through your finances – cut out anything that you can do without for a while, and cutback on those extra expenses that arent exactly necessary (do you really need an extra 10gb of data on your phone each month?). One of our top tips is to try switching to online grocery shopping as it’s easier to spend a lot less when you’re not tempted by the offers thrown in your face in every aisle at the supermarket – this is also a great time saver!! You can also recycle A LOT from baby number one – if you were planning ahead, you will have kept atleast some clothes and toys that will be loved once again by baby number two. If going to the supermarket with one little bub was stressful enough, you’re probably dreading doing it with two in tow as well! As mentioned earlier, accepting help from others is really handy here; if you need to pop out and run an errand that you think is just too much for two babies, see if a friend or relative can help you out. This doesnt have to mean babysitting; why don’t they come along with you as an extra pair of hands? You can both reward yourselves with a trip to the coffee shop so that its not all work and no play. Similarly, make things easier for yourself by doing as little as possible – you’ll really be amazed by how much you can arrange on the internet these days, from grocery shopping to dry cleaning. Spend the time that you would have spent stressing at the supermarket with a relaxing picnic at the park with bubbas! Becoming a parent changes your world forever, and you’d probably only just started back in the social world when you found out baby number two was about to turn everything around all over again. This is probably the least of your worries because getting your nails done with your pals, or catching up over a glass of wine will wait – enjoying the special milestone moments with your family are far more memorable, and you’ll be thankful that you got to cherish them all. That being said, making time for your partner is something that you should prioritise. You both already had to make big changes to your lifestyle when you went from a unit of 2, to a family of 3 and now it’s going to get even trickier to spend significant-other time together. 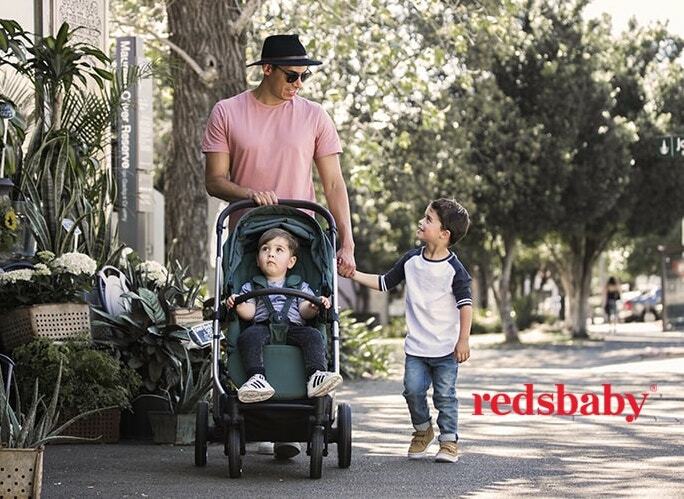 In the first few weeks it will be tricky, but even doing small things together like watching a movie in the evenings, or taking a sunday stroll while the bubs are at granny’s, will give you two the time you need to reconnect. We hope this list will have eased your pre-baby nerves a little more, and hopefully by the time baby number two does arrive, you will be more than prepared! Got any tips you’d like to share with expectant mums? Comment on this post below, we’d love to hear what you’ve got to say! !